I have written a lot about Syria and the heartbreaking crisis we have all witnessed this year in the media and lately, my mind has been doing rounds, trying to find a way we can help again as a family. So when I was invited yesterday by the amazing team behind #ShareTheMeal to write about their amazing new life-saving app, I knew instantly I had found my answer! What we can all do, on the other hand, and from today is download the app and each time we have a few spare pennies in our bank accounts, click and donate to ensure not only our children get fed this winter, but also the Syrian ones still on the road to safety and a normal life. Our (to us!) meager donations of £0.37 per day or £2.45 per week have the financial power to change a child’s life! No, actually, they have the potential to SAVE their life! Please do involve your children and support together the initiative as a family this December. Instead of focusing on Advent Calendars that offer them chocolate and toys only, make it a daily habit to think and give to others, less fortunate, some of their small change and, more importantly, their love. Emma’s iPad has the app downloaded from yesterday and we will make it a daily joy in December, to click that button and know that for that day, one Syrian child will not go hungry thanks to Emma’s big heart! The app is fully endorsed by the United Nations World Food Programme. It has been mentioned in Forbes yesterday as the app with most potential for worldwide change. 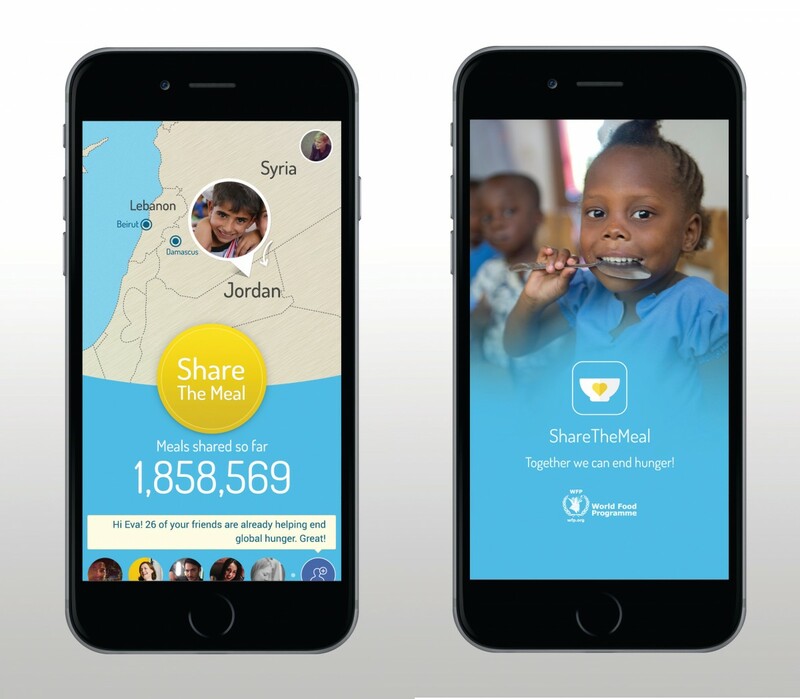 The #ShareTheMeal programme and app have received the support of the WFP Innovation Accelerator and are in line with the United Nations’ ambitious goal to end world hunger by 2030. Thank you for sharing this. When you want to help, it is sometimes is hard to find a legit charity to work with. I’ve been so heartbroken over the stories coming from over there. What an extraordinarily easy way to make such a difference to people’s lives. I never thought that 37p would or could be so important, I mean what can you really buy with that anyway? wow. I have been devastated by the poor people fleeing from Syria. This is brilliant, thank you so much for sharing!